This capsule holder is a bench that seats up to 64 Tassimo capsules. The capsule holder can be rotated and is made of chrome-plated steel. 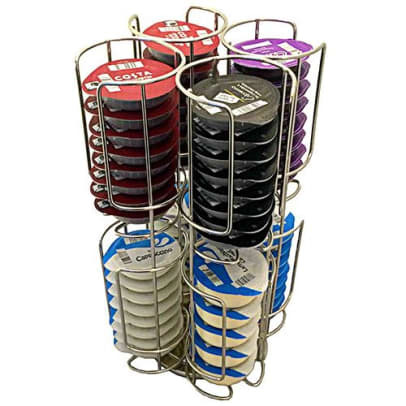 The holder may hold both small Tassimo coffee capsules as well as the larger Tassimo milk capsules.